A couple’s second marriage opens up a new world of registry gift options you may have never thought of! A second marriage is always an exciting time for the bride and groom to be. Sure, their previous marriages may not have worked out as planned, but there’s something to be said about a willingness to not only seek out and find love but commit to it just as fiercely as the first time around. Despite all that, when it comes to second weddings, figuring out the perfect wedding gift can prove to be a little tricky. Most couples planning marriage number two aren’t as anxious to share their registry info as they may have been in the past, so if you’ve found yourself invited to a second wedding, it’s time to get creative! In the past, it was not a common practice to bring a gift to a second wedding, especially if you were invited to the first. However, times have changed, and most modern couples have opted to register for gifts that fit into the new stage in their shared lives. Whether you’re compiling your own registry or you’re shopping for someone close to you, we’ve found some appropriate and unique gifts for all price points and stages of life. From young couples blending families and children to older more established couples, and anywhere in between, you’ll be sure to find just the right gift! For an older couple that has everything they need between the bride and groom, you can’t go wrong with tickets to a local event or show. Depending on their tastes, you could score tickets to their favorite band at an intimate venue, the can’t-miss rivalry season game, great seats at the opera or entry to a meet and greet with a writer they love! Regardless, they’ll appreciate the personally curated gift to experience as newlyweds. 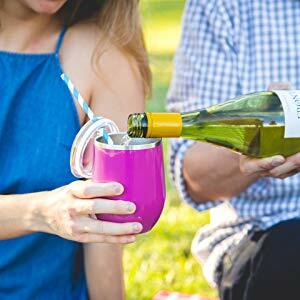 Transporting your favorite libations has never been easier with a lidded wine glass tumbler. With 15 color options, this lidded tumbler isn’t just convenient—it’s completely customizable! Choose your favorite hue that’ll transport your favorite varietal wherever you’re headed. The insulated material keeps temperatures just where you want them, and the lid keeps the liquid exactly where you want it: inside the container. For a couple on their second marriage, a fully-loaded picnic basket makes an excellent gift option. If you’re dining alfresco, you may as well do it right. 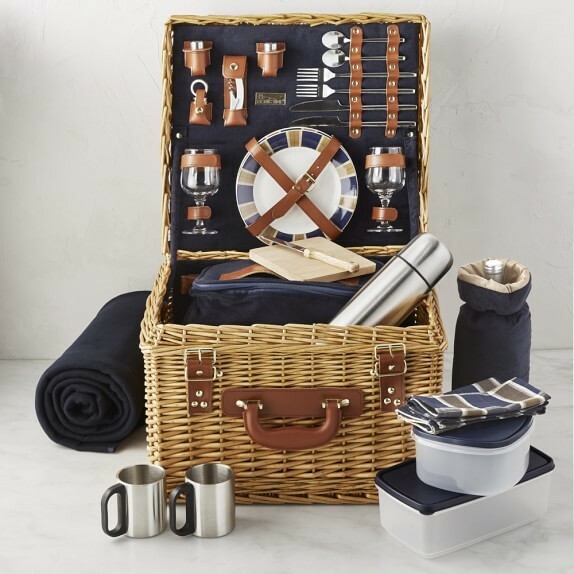 This woven picnic basket contains everything you need for a comfortable picnic for two—even a fleece blanket! It transforms anything from Shakespeare in the Park to parking lot tailgates into a romantic outing. Steal the show and serve the best barbecue grub with this stylish portable BBQ ready for any outing. 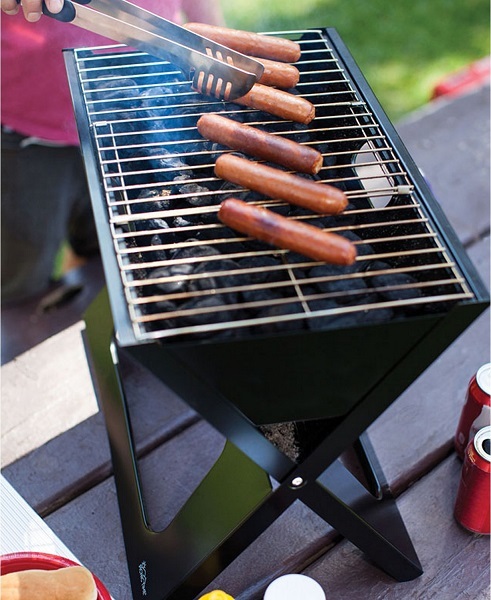 Lightweight and easy to assemble, this stylish and unique portable BBQ will make traveling cookouts a breeze. It packs completely flat for easy transport, using coal as its heat source so you never have to worry about lugging a propane tank! As long as live entertainment exists, opera glasses will be a necessity—they’re a great gift option for a couple celebrating a second marriage. 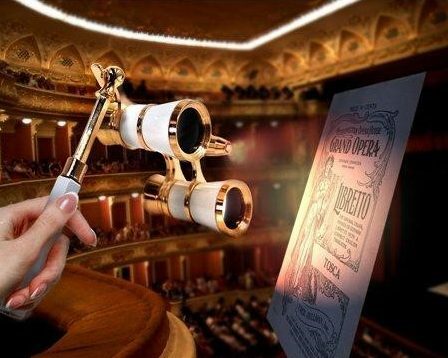 From plays to the opera to run-of-the-mill concerts, opera glasses help to make each performance more enjoyable. This lightweight and compact set provides added soft illumination to read playbills, seating assignments or any other materials in low-light situations. I don’t know about you, but I feel pretty lucky to live during a time when almost everything is available in subscription form—which brings me to one of the greatest: wine! I don’t know many people who don’t enjoy a nice bottle from time to time, and for an older couple on their second marriages, a wine subscription is a gift that keeps on giving throughout the year! 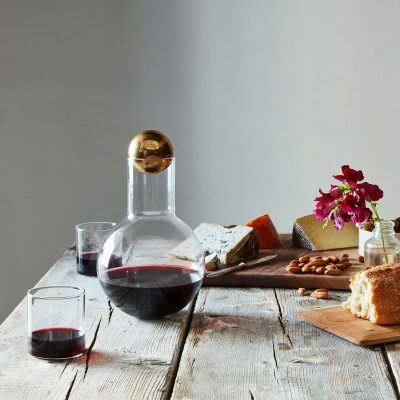 Williams Sonoma’s wine club is a great option, along with Cellars Wine Club and Winc, depending on your budget and frequency of delivery. Stemless wine glasses make a great wedding gift for a second marriage. The beauty of a wine subscription is in the surprise. 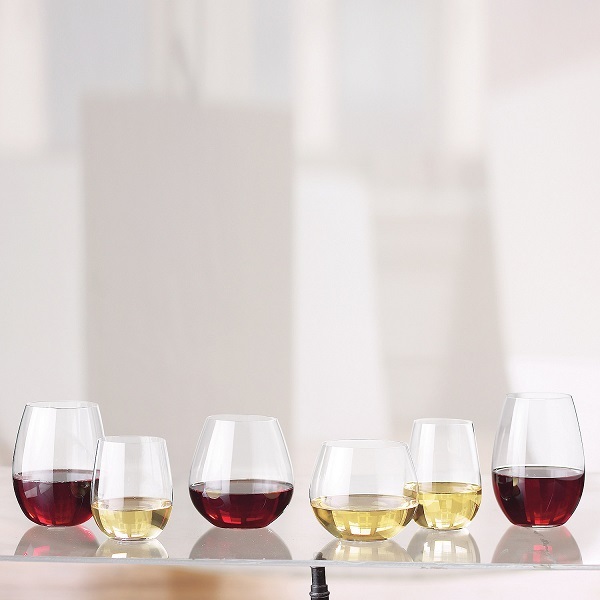 Prepare the happy couple for whatever comes their way with this mixed red & white stemless wine glass set by the always fabulous Reidel. This way, they can share a bottle just the two of them, or invite friends over to enjoy with them! 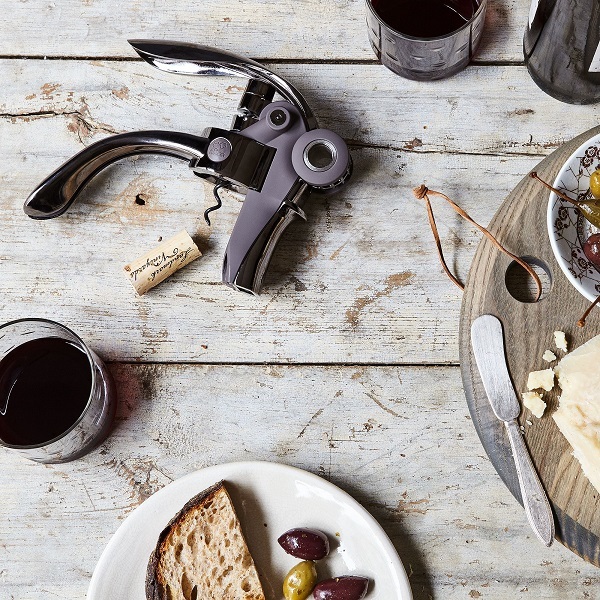 Even the trustiest wine bottle opener will pale in comparison to this easy-to-use lever corkscrew. It’s likely that a couple entering their second marriage probably own a corkscrew in some form between the two of them. That said, it’s still a great item you can upgrade as a beautiful gift option. This beautiful lever corkscrew can be operated with one hand and helps them enjoy their new bottles all the more easily. A stylish decanter makes any bottle of wine taste that much more luxurious. Everyone knows a decanter makes wine taste better, and I am firmly of the belief that a stylish decanter makes the flavors stand out even more. This handblown option makes a subtle statement thanks to the heavy brass stopper, and will blend in with nearly all home decorating styles. Taking the leap into a second marriage takes a fair amount of courage, and it deserves to be commemorated! A custom art piece serves as a personalized reminder of their love that can display sentimental details like the stars’ alignment on their wedding day or the day they met. If the bride or groom—or both—is bringing children into the marriage, consider gifting them with an experience that will help the family bond! Depending on where they call home, you can find passes for places like zoos or science museums, or gift a certificate toward equipment rentals at a nature preserve. Who knows, you might inspire a new family tradition! 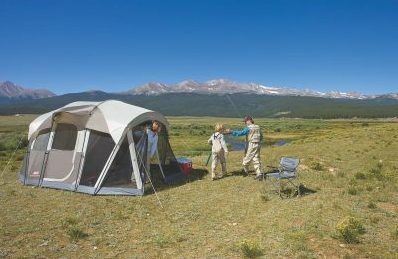 Exploring nearby nature preserves is even more fun when you can extend the fun with an overnight stay in a family-sized tent. Keep the fun going with a family-sized tent! This easy to set up gear sleeps up to 8 comfortably, has a screened-in porch to keep shoes and other indoor/outdoor items away from living space, and stands up at 6’8” for plenty of standing room. Food and drinks stay cold and safe from the elements with a sturdy Yeti cooler on board. 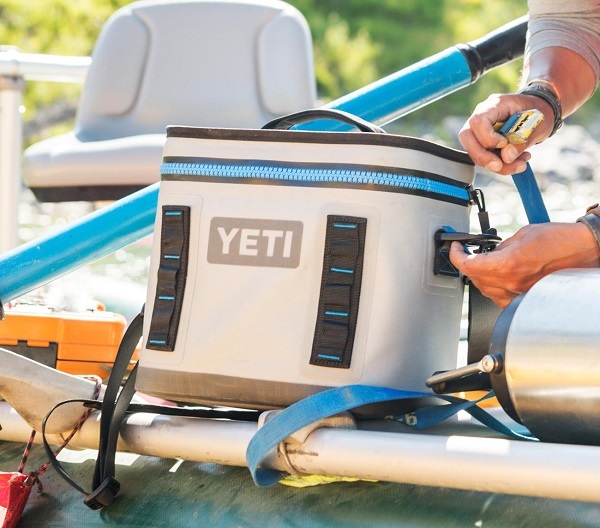 Yeti coolers aren’t just for stylish tailgaters—their durable super-insulated construction makes it a great option for anyone who loves the outdoors! This leakproof, all-weather option holds a ton of ice, drinks, snacks, whatever you need to keep cool and away from the elements. Lounge on the water in the ultimate style and comfort with a larger-than-life float. A fun float makes any aquatic excursion more exciting. 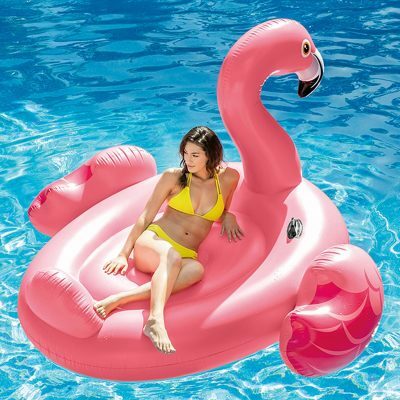 This extra-large option makes it a great option for families with a few kids or adults who want to lounge in style, and the cute design stands out among the typical floats. More people in the house means more people to spend time with, more food in the fridge, more to clean—more everything! I love the idea of gifting a newly-blended family with smart home gadgets, storage and upgrades that will help them enjoy more of each other and acclimate to the extra people in the house. Plus, it’s a great way for everyone to team together and create a living space that works for the entire family! An Echo Plus is the ultimate home convenience hub for everything from tasks and to-do’s to entertainment and in-house dance parties! 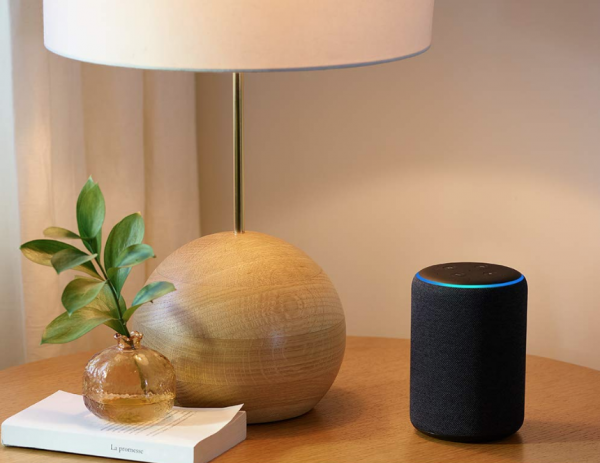 Amazon’s suite of smart home gadgets make it an easy recommendation for just about anyone, but especially for big families learning to live together for the first time. The Echo Plus makes it super easy to set reminders, make family-collaborative lists, discover new music together or even have impromptu trivia competition whenever the mood strikes. With all the fun features, there’s plenty to do and learn together. 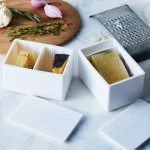 A glass food storage set is always a nice upgrade from plastic, and the material makes it the most convenient for cooking, cleaning and storage all in one place. More people in the house means more mouths to feed—which means more food to be made! 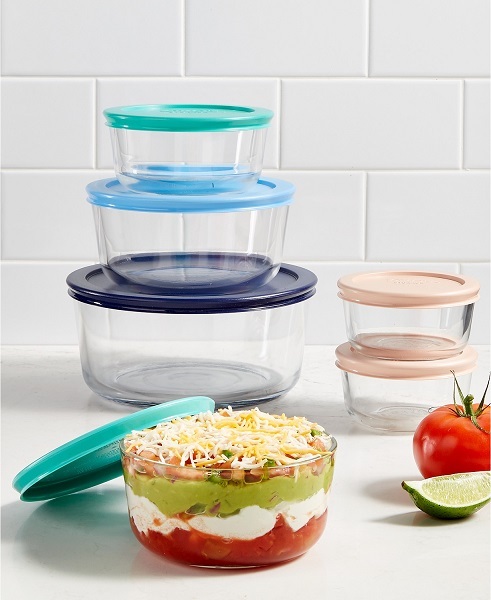 An extra set of reliable food storage makes all that a breeze: the Pyrex glass food storage means you can mix, cook and freeze in the same dish. Home improvement projects can run the gamut—set up a couple on their second marriage with a Container Store gift card to prepare them for any unexpected organizational needs. A new marriage often means a new house is in the works! Whether one family is moving in with the other, or they’re starting a new home together, there will no doubt be organizational hurdles to overcome (hello, shared closets). 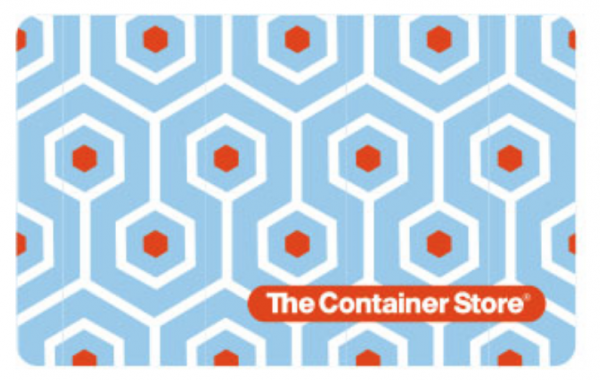 Help ease the stress with a Container Store gift card. The do-it-all store has everything they’ll need to keep everything neat and tidy, plus helpful consultants to tackle any project! For newlyweds who have plans to move into a shared home after their nuptials, you can contribute toward any renovation or updating projects they might have in mind. Home improvement store gift cards are always a great idea—if they don’t need new tools or hardware, they can grab supplies to start a vegetable garden, build a birdhouse or find a fun DIY project to do together. For the couple on their second marriage who seemingly have everything they need between the two of them, cooking lessons are a great gift that will keep their creativity flowing and culminates in a delicious meal! There’s always something new to learn in the kitchen, and you can’t beat the satisfaction of conquering a challenging recipe together. Cover every step from whisking to serving with a stainless steel utensil set for a couple on their second marriage. Once they’ve mastered their new dishes in class, the happy couple will no doubt want to show off their new talents for guests at home. 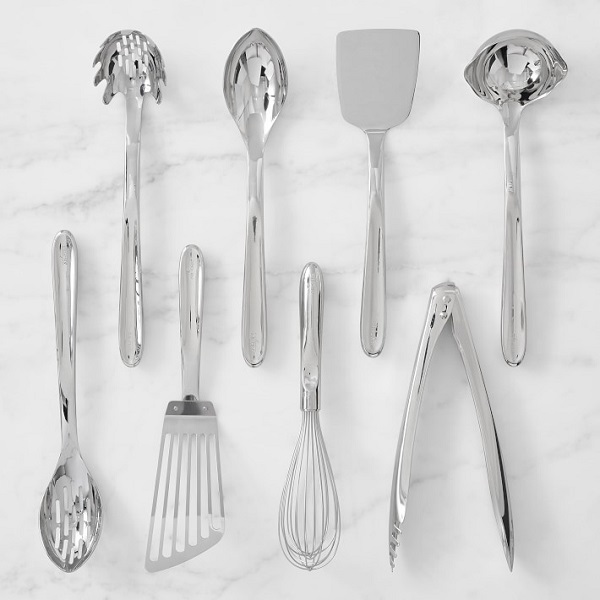 Set them up for success with this 8-piece stainless steel utensil set that covers all the bases from step one through service! The polished finish even transitions from kitchen to table in a breeze. 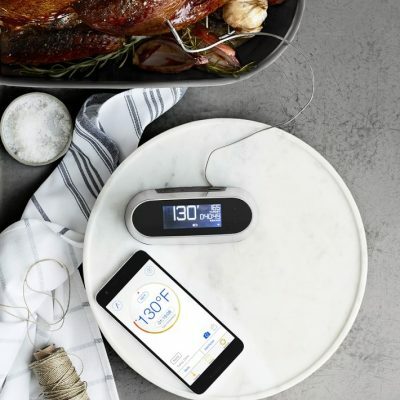 Home cooking gets a major upgrade when you gift a couple on their second marriage a smart thermometer. Cooking lessons or no, every home cook benefits from optimal temperature control while whipping up a dish to perfection. This iOS and Android-compatible smart thermometer connects to your home’s WiFi to measure and relay temperature, progress and cook time remaining. It leaves just about nothing to be desired—besides a delicious meal, of course! 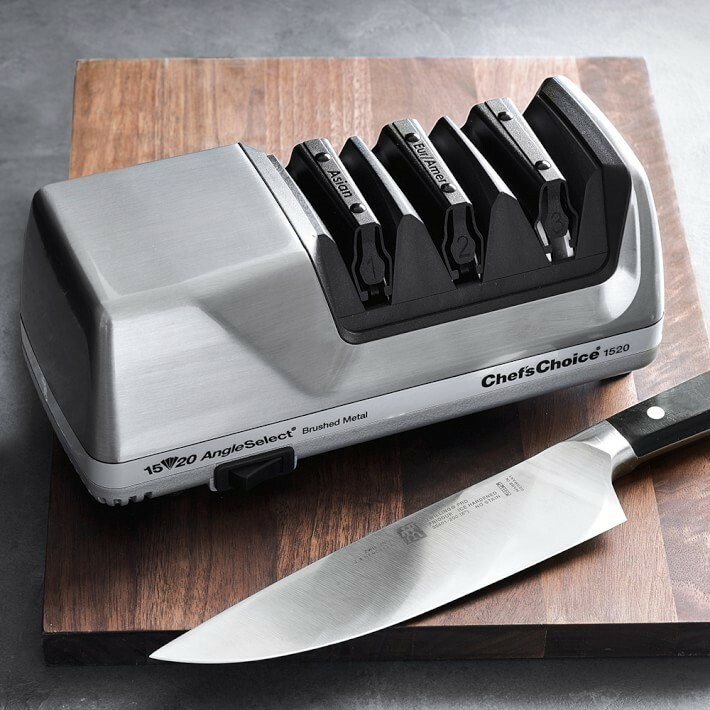 Even the most expensive knife needs a proper sharpening, which makes an electric sharpener a fabulous gift for any marriage. A cook is only as good as their tools, and an electric knife sharpener takes care of the cutlery to ensure a precise slice every time. This model sharpens all knives, including German and Japanese sets for a razor-sharp edge. 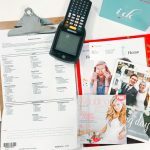 While most couples register for their everyday dish sets and servingware for their first wedding, second-time marriages have the unexpected advantage of being able to register for more out of the box items. I love the opportunity to stake a claim on eye-catching centerpieces and serving plates to help make a statement on the table. 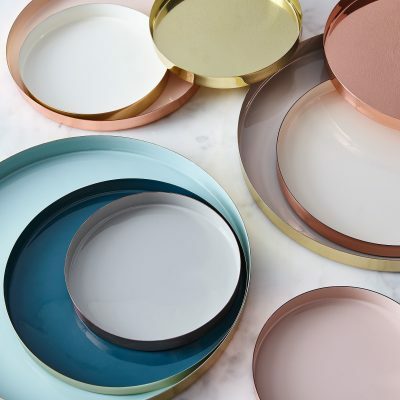 Circular brass serving trays gracefully walk the line of chic and showstopping, giving dinner guests just a hint of metallic sheen for a pop. This lightweight set of copper brass trays comes in a variety of sizes and colors, meaning you can mix and match your way to the perfect combination for the bride and groom. Not to mention, they’re lightweight and make a tasteful statement even as an everyday table display. Berries always taste better in cute, market-inspired ceramic baskets—a great wedding gift option for a couple on their second marriage! Sometimes, you just know you need something as soon as you look at it. 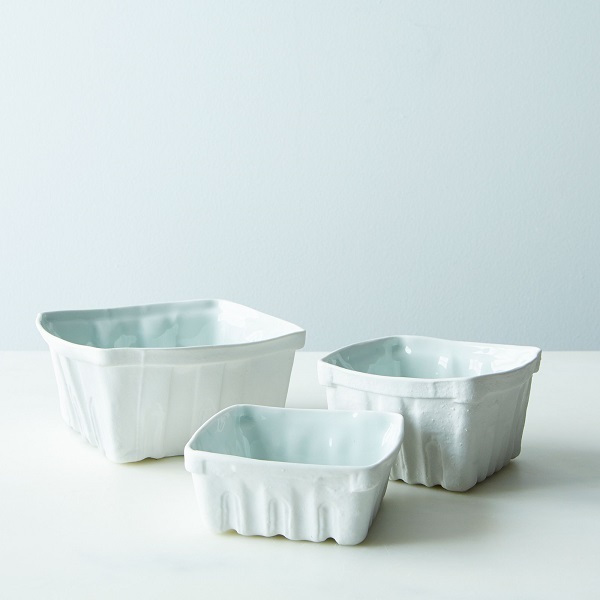 These adorable porcelain berry baskets are one of those things; their farmers market-inspired aesthetic is irresistible, and it’s a beautifully rustic way to present fresh fruits and veggies. I love the sturdy alternative to serving that’s just a smidge more indulgent than your typical wedding gift. Everyone needs a sturdy cake stand, even a couple on their second marriage! 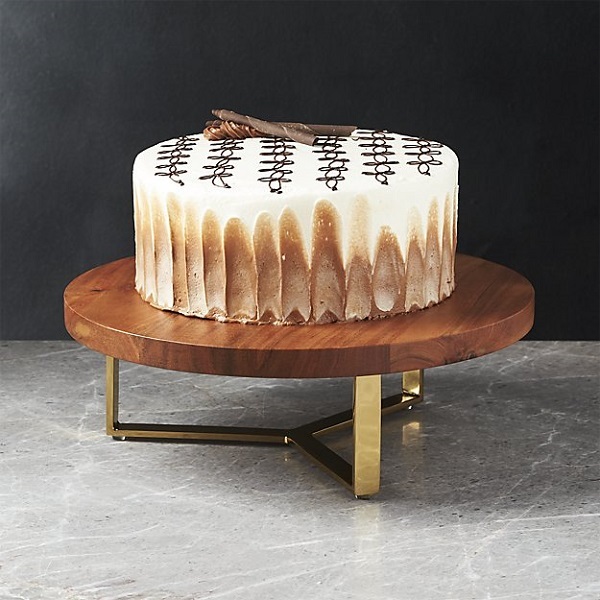 While this cake stand is somewhat nontraditional in its structure, it’s a solid mid-century modern piece that truly puts the cake on a pedestal. Its minimalism makes it an elegant alternative to a more traditional option, and it’s sure to turn heads at any home gathering. Who doesn’t love a romantic getaway? No matter what stage in life, all couples crave that togetherness that comes with exploring someplace new together, which makes a B&B certificate a perfect gift option for a couple’s second marriage. Whether you choose someplace local (hello, staycation!) or opt for an AirBNB credit, they’ll love the opportunity for a quick recharge, just the two of them. There are so many incredible retailers out there with unique gift options that will make a couple celebrating their second marriage feel extra special. 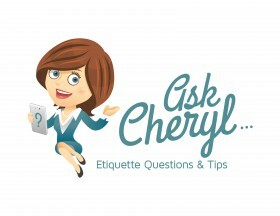 I hope this blog inspires you to find that perfect gift for the happy couple! 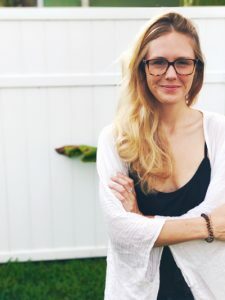 -Written by Brittney Winters-Gullo, who needs someone to stop her from buying all the items on this list—second marriage not included!